TUnIS Navigation TBMGyro is a navigation system for tunnel boring machines that is independent of machine type (EPB, mixshield, hard rock). The TUnIS Navigation TBMGyro measuring process is based on a gyroscope (gyro-compass) and the dead reckoning method to determine the current advance position related to the planned tunnel axis with millimetre accuracy and in real-time. The system is particularly suitable for tight alignment radii and where there is no laser window on TBMs with only a small diameter. 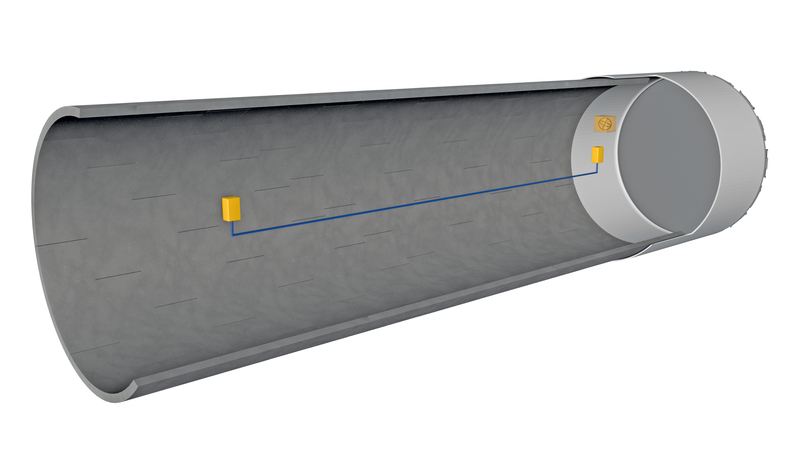 For an alignment with small curve radii, when using an optical measuring system the sighting distance of the associated total station installed in the tunnel is very limited. The total station must therefore be moved frequently. These movements require personnel and hinder the working processes. That costs time and money. The TUnIS Navigation TBMGyro solution based on a gyro-compass does not require a total station. It is therefore possible to continuously calculate the current TBM position even in tight radii without frequent manual interventions. Even machines with a small diameter and without a laser window can be reliably navigated with the help of TUnIS Navigation TBMGyro. Reduced space that makes the installation of a total station difficult or impossible plays no role with TUnIS Navigation TBMGyro.